Found this sign over a restroom at a convenience store on our drive to Maine yesterday. 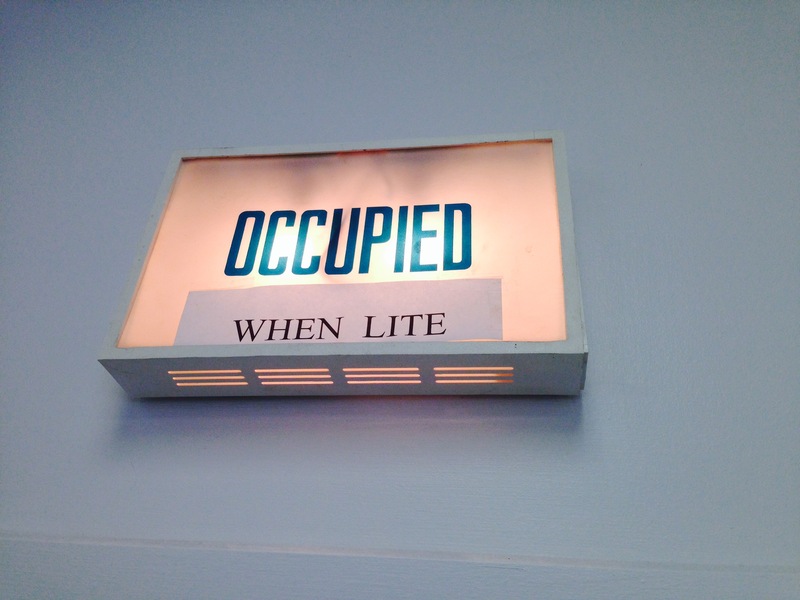 It always stayed lit whether the restroom was occupied or not. Maybe it is advertising campaign by the Miller Lite?